This PDF 1.5 document has been generated by Microsoft® Word 2010, and has been sent on pdf-archive.com on 06/02/2013 at 22:31, from IP address 35.13.x.x. The current document download page has been viewed 724 times. File size: 628 KB (5 pages). MSU Continues Winning Ways at the NDT! championship tournament at Emory University. bodes well for success in 2013 and beyond. National Debate Tournament in Atlanta, GA.
toward becoming a leader in several communities. and critically about important decisions. 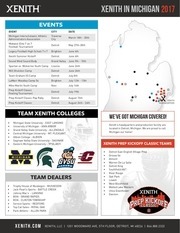 throughout the state of Michigan and United States. events in 2009 and 2008.
and will be an assistant coach for their debate program. congratulates him on an outstanding career! discourse and an informed public. commentary, and a question and answer period. Garrett Abelkop (second from right). 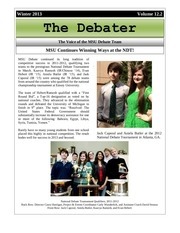 positive impact of debate at the high school level. East Lansing at the International Center at MSU. President Lou Anna K. Simon, May 2012.
on July 8th for this year’s SDI. tournament for each session of students. email at katie@msu.edu, or via phone at 517-3552326. To give online, visit givingto.msu.edu/1155. Room 105, East Lansing, MI, 48824. This file has been shared by a user of PDF Archive. Document ID: 00072519.